His voice slowed by Parkinson’s disease, the Rev. Jesse L. Jackson Sr. implored black journalists Saturday night not to forget their legacy of using their craft to call attention to the concerns of African Americans. 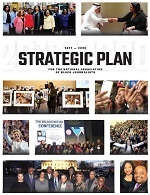 The nation does not need “chocolate white men whose mind has bought into the system, whose vision is limited by what the master says,” Jackson told the National Association of Black Journalists at its annual conference in Detroit. “Don’t put your job over your mission. Jackson said black journalists ought to think black, learn their own history and that of black journalists before them, and connect dots that other reporters do not, such as the fact that blacks were in cages long before the children on the border today, or that when the remains of Korean War veterans were returned, “there were some black bones in those boxes.” The assassinated civil rights hero Medgar Evers was a Korean War veteran, he said. Jackson, now 76, reminded his audience of his own long history before, during and after the civil rights movement — “I’ve seen a lot,” he said — and rattled off the names of black journalists whose names he said should be familiar to today’s practitioners: Ida B. Wells, Frederick Douglass, Ethel Payne, Les Payne, Acel Moore, Max Robinson, William Raspberry, Dorothy Gilliam, DeWayne Wickham, Vernon Jarrett, George Curry, Sam Lacy and Carl Rowan among them. It seemed an update of a speech Jackson gave NABJ 34 years ago in Atlanta. “Before you be a little of everything to everybody, be something special to where you live,” he said then before a crowd of 860 people. This time, Jackson was addressing an organization whose convention, Executive Director Drew Berry said, reached 3,016 registrants and whose membership, according to President Sarah Glover, is now 75 percent millennials or members of Generation X — a reassuring guarantee of the association’s future. But now, as in 1984, Jackson dovetailed his remarks with the organization’s stated goal of increasing the black presence in newsrooms. In June, Jackson visited editorial boards in Cleveland and in Columbus, Ohio, and “not one” black journalist was in the room. Alan Miller, editor of the Dispatch, told Journal-isms by telephone on Monday, “He’s not wrong. There is a lack of diversity in some of our newsrooms,” and that his is one. Miller said he is not sure he participates in the annual diversity survey of the American Society of News Editors [PDF], though he is a member and receives its material. He said he recruits on five Ohio college campuses and has an intern program. However, the Dispatch does not participate in any of the career fairs held by the journalism associations of color, he conceded. Miller said he was not sure that laid-off journalists would be interested in the Dispatch. “It’s challenging to get people who’ve been laid off to take another chance. My guess is that some of those folks are choosing to leave to a different profession or [choosing] a different aspect of the profession.” He said he has advertised on national journalism job boards such as journalismjobs.com. The Dispatch currently has openings for a hockey writer and a real estate reporter. “We’d love to hear from minority candidates,” Miller said. 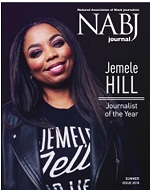 [Marlon A. Walker, NABJ vice president/print, responded Tuesday, “Laid-off journalists’ has been one of NABJ’s specialties since the recession hit. Since I joined the board in 2015, I’ve specifically helped more than a dozen return to classrooms, and I spoke with more in Detroit who would have gladly applied for jobs in Columbus, had they known about the openings. Elizabeth Sullivan, director of the editorial board for the Plain Dealer and cleveland.com, and director of opinion for cleveland.com, responded by email Monday that she was surprised by Jackson’s comments. “Shortly before The Plain Dealer/cleveland.com editorial board met with the Rev. Jackson in early June, the two African-American members of our editorial board, Karl Turner and Sharon Broussard, took a buyout and left cleveland.com. We explained this to Rev. Jackson when he met with us, and let him know we were in the process of expanding the board for diversity reasons, a move he applauded, but perhaps he did not recall that part of the discussion. Jackson spoke at the Salute to Excellence Awards dinner.